whateverblog. 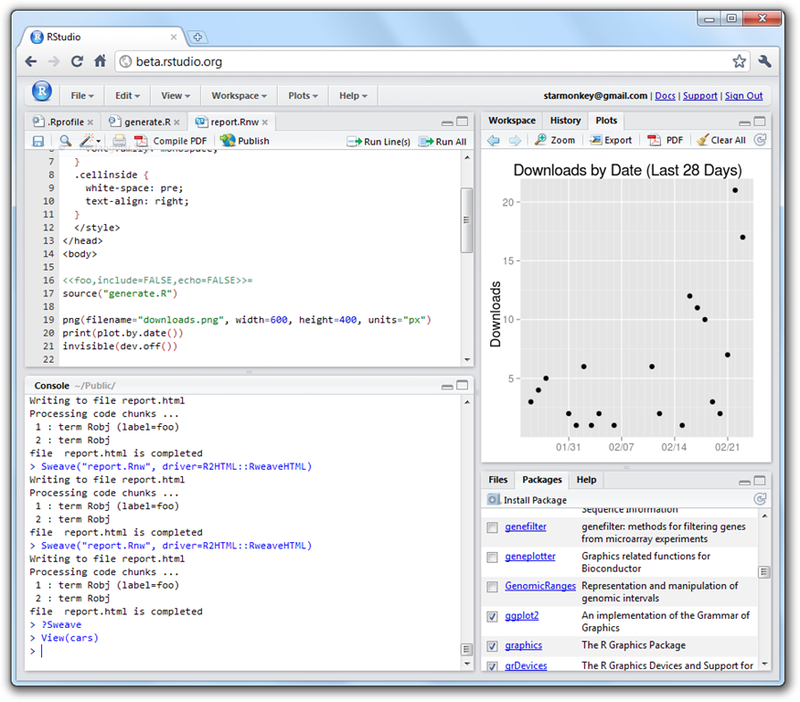 | Hello, I'm Joe Cheng, a software developer on RStudio. Update (May 1, 2012): According to commenter Ethan Cane, these steps are no longer necessary. You should be able to directly transfer your .pem file to Panic Prompt using iTunes File Sharing. The below info is for historical purposes only. Yesterday, Panic introduced Prompt, an SSH client for iOS. It took a little trial and error to get it working with EC2 .pem files, but I eventually succeeded. Since a lot of the blog comments show other users struggling with the same thing, here’s what worked for me. Your .pem file is an RSA private key. You need to generate an RSA public key from it. On Mac OS X, I did this by typing “ssh-keygen -y > foo.pub” and entering foo.pem when prompted for the key file. Make a copy of your foo.pem file to get rid of the extension. Now you have “foo” as the private key and “foo.pub” as the public key. If Prompt is running on your iPhone, do a hard exit (show the iPhone app switcher UI, long-press the Prompt icon to show the delete adornment). In iTunes, use File Sharing to transfer first foo.pub, then foo. Hopefully you should see the key showing up in Prompt now. Update February 17, 2010: I forgot to mention that if you need FIFO guarantees today and don’t mind losing some of the conciseness, Jarrod Carlson has a nice solution posted here. I plan on stealing his way of doing FIFO. Since leaving Microsoft in September, I’ve been working almost exclusively with Google Web Toolkit (GWT). Now that I have spent some time with it, I think it’s one of the most exciting advances in web development in years. Warning: This post assumes the reader is very familiar with GWT and code splitting, and the ideal reader will have already tried and failed to find a nice way to reuse code split logic. Seriously though, you’ve been warned! GWT 2.0 provides a mechanism for splitting your codebase so that some of your code and resources can be loaded on-demand rather than at page load. The official GWT site recommends the Async Provider pattern as a way to split up your codebase. This is a great start, but you need an excessive amount of boilerplate for each module. Plus, callers now have to use a pretty tortured anonymous class based syntax to get at the API. Because GWT effectively introduces one split point for each time GWT.runAsync appears in the program source, it’s not obvious how to get around cutting-and-pasting all of this boilerplate. Fortunately, GWT gives us the tools we need to get out of this mess. We’ll build on top of the same pattern, but use deferred binding (via my library) to generate the boilerplate at build time. For the last three and a half years, it’s been my distinct pleasure to be part of the Windows Live Writer team. It’s been deeply satisfying to help ship this simple yet sophisticated program that has put a smile on so many bloggers’ faces. From our first public beta, we’ve had nothing but love from the blogging community, and I can’t tell you how awesome that feels. So it’s with decidedly mixed emotions that I’m moving on from Microsoft and Windows Live Writer. My last day is this Friday, 9/11/2009. Thank you to all the colleagues, partners, and especially users who have made the last few years so exciting and rewarding. It’s been an amazing experience for me, and I’ll always be proud of what we accomplished. Next for me will be another stint working for JJ Allaire. I’ll be working from home, which will be something new for me. No details to share about the project for a while, except to say that it will be something totally different (nothing to do with blogging, sorry). Windows Live Writer 2009 won’t start? Update Feb 13 2009: The updated version of Writer that fixes this problem is now available. You can upgrade to version 14.0.8064.206 from our usual download page. Ack. We’ve had a few users report that they’re getting into a state where Windows Live Writer 2009 can no longer start. They see the splash screen, then an error, then nothing. You should see a bunch of files whose names begin with “keyword” and end with lots of letters and numbers. Delete all of these files. The problem, as you may have guessed, is that one of these files is getting corrupted. This is due to a race condition in our code where the settings file can be closed while it’s still in the middle of being written. Our update will both fix the race condition, and also deal more gracefully with corrupted settings files (by ignoring them). Fortunately, these files merely contain a copy of tags that are also stored on your server. After you delete these files, you may find that our server-side tagging feature no longer suggests tags to you. You can get your tags back by hitting the little refresh button (two arrows chasing each other) right inside the “Set tags” textbox. Hopefully, folks who use both Windows Live Writer and Twitter know about the Twitter Notify plugin we released in December. Out of the box, it uses the venerable (but still awesome) TinyURL service to shorten the URL to your blog post. However, if you prefer a different URL shortening service, like is.gd or snipr, you might be able to get the plugin to use that instead, with a simple registry tweak.